"I'm not going to show up somewhere that doesn't have a major-league television deal. That's not what I'm interested in doing. I'm not doing this to be a martyr or Robin Hood. I'm doing this to continue to grow my brand and to take over the business and the world. I know a few potential suitors for television. I know some potential ideas as far as how we're going to do it. I know that both of them that I've heard are game-changers." "I think we've assembled a great roster already of fresh talent. We have the seasoned veterans and really untapped rookies, with great people on every level. We have six-to-eight blue-chippers. That's all you need to do a wrestling company. I think we have enough talent for the first year already. 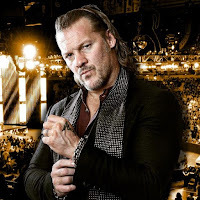 I think what AEW has done is shaken up the big companies, and when I say that I mean WWE and New Japan, to where they're signing everybody, and signing them to longer deals and more money. And I say to all of them, you're welcome. We have to work and build the roster that we already have, knowing that we'll get more, but for right now, we have to assume this is our roster for next year. Let's build some guys and create some of our own stars, which is mandatory for any wrestling company to survive." "Kenny travels the world going to game conventions, specifically because he's such a gamer. Not knowing for sure, but I'd say there is a pretty damn good chance there's going to be an AEW game, and it's probably going to be better than most because [Cody, Young Bucks, and Omega] probably going to have a hand in developing it."